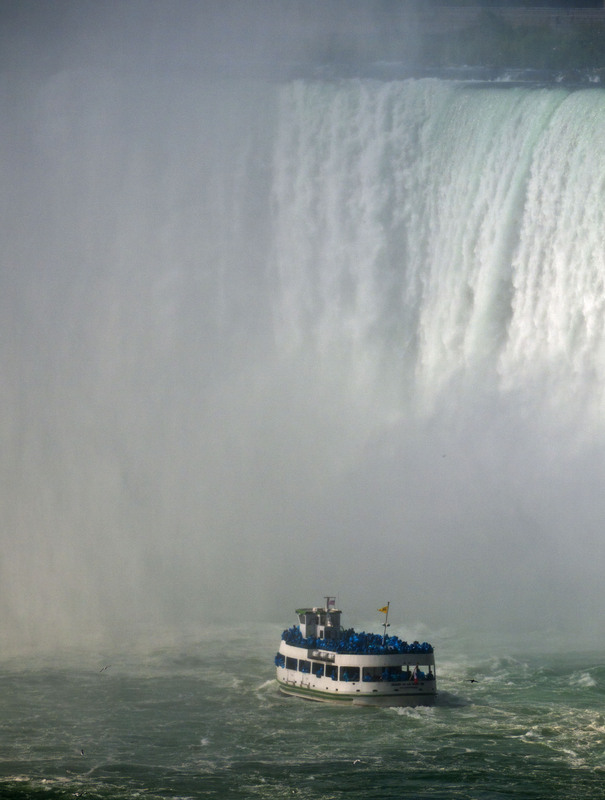 We had always wanted to make a quick swing past Niagara Falls even though it was out of our way. From Algonquin we headed South, skirting Toronto and made it to Niagara for the evening to free camp in a Walmart about 3k from the falls. The next morning we got our bikes down, left the beast in Walmart car park and cycled down to the Falls. 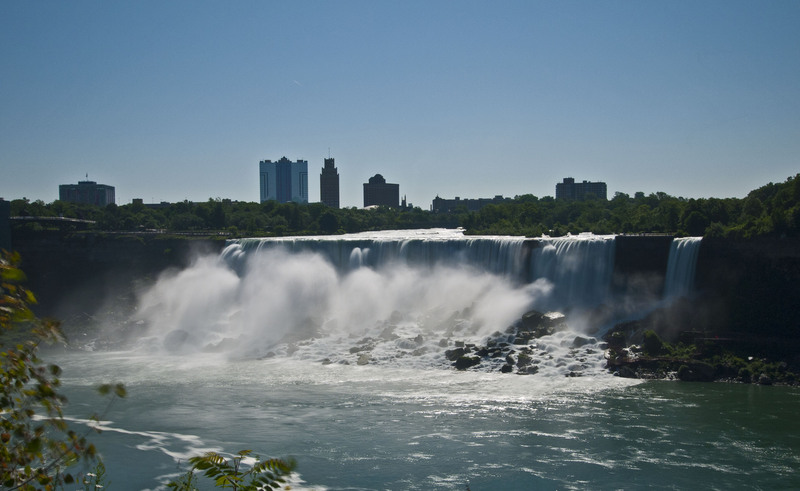 The falls are split into two the main Horseshoe Falls and the American Falls but the best view of it all is from the Canadian side of the border. You are only a stone’s throw away from the USA though. We wandered up and down the viewing area and then decided to fork out for the Walk beneath the Falls which was CAD15 each. This takes you down in a lift to a platform right next to the bottom of the falls and then lets you walk through a tunnel with 2 viewing areas right behind the falls themselves. They give you very natty yellow ponchos made of plastic to wear which make everyone look like wet canaries. 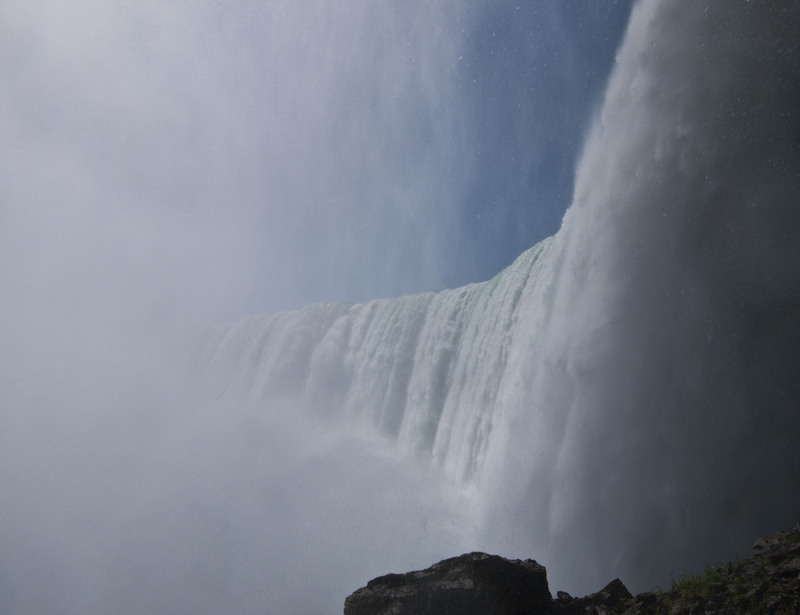 To be honest this was a little disappointing because the two viewing areas behind the falls all you can see is a mass of crashing white water. 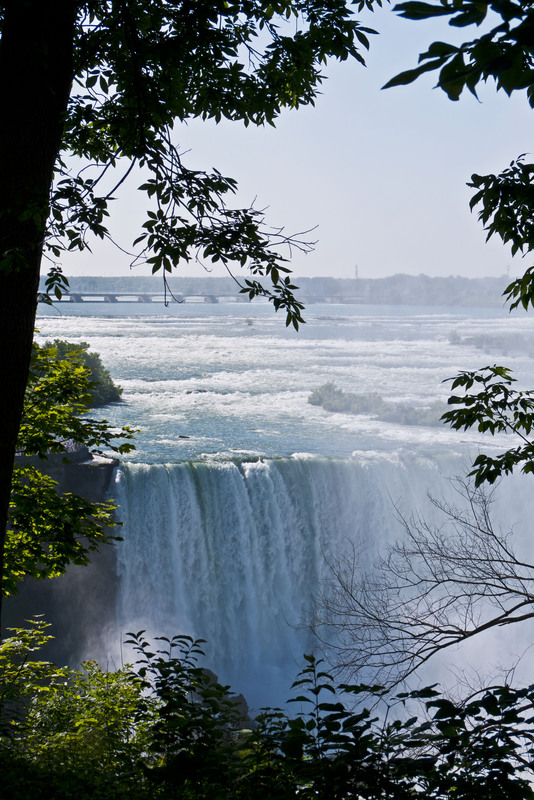 I was hoping to get more of a sense of the size of the falls from here but all you see is a very small portion. After this trip we headed back to the Beast and settled in for the drive back North and made it to Greater Sudbury on the banks of Lake Huron for the night. The highlight of Greater Sudbury was our first police stop. Almost at our destination we heard the distinctive Whoop-Whoop of a siren and saw the flashing lights behind. After racking my brains I couldn’t think of anything I’d done wrong. We stop and the policeman approaches asks for licence and insurance. Then asks what we were doing. Turns out he was just interested in the Beast ! It hadn’t stopped my stomach doing a couple of flips though – I am going to have to get used to this and not let it phase me. It may be the first but there will be much more difficult ones later in the trip ! 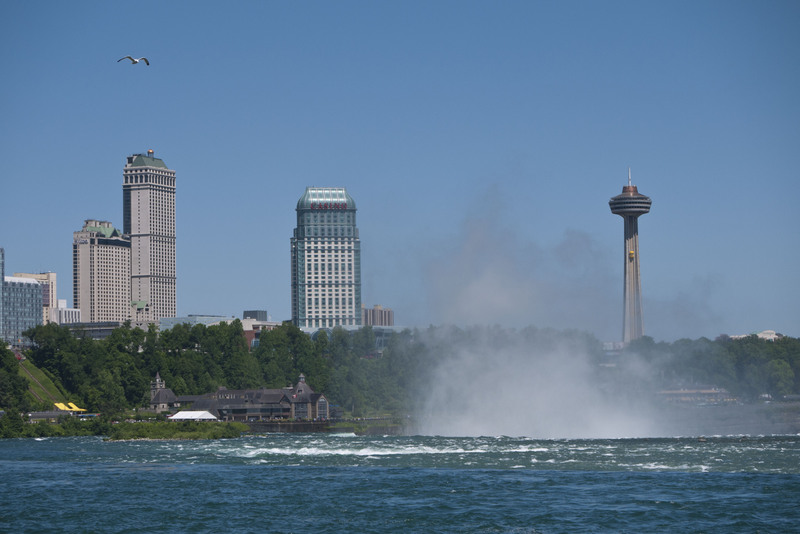 I think the best description I heard of Niagra is, The Blackpool of Canada. Anyway keep blogging as you’re currently living my dream, and I guess many others too.